« Married Couples Dilemma: Who Gets the Kids? For most of us, buying a home will be our largest investment. A home inspection can confirm it’s a good one. A well-trained and qualified home inspector will review the condition of the house structure and all it’s systems. They climb on the roof, poke at the foundation and crawl into attics. In doing so, they can identify any problems the untrained eye might miss. If you make a home inspection contingent on your purchase of the house, you can work with the seller to resolve problems before finalizing the deal. To make the home inspection a contingency, include it in your purchase agreement. 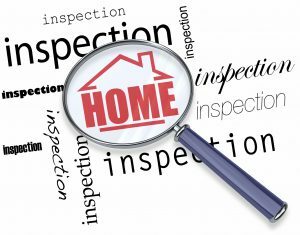 If the seller is not able to resolve any issues found in a home inspection to your satisfaction, you can back out of the purchase. Getting a home inspection before finalizing the purchase of your new home is a wise decision. By identifying issues before you buy a new home, unforeseen (and sometimes expensive) problems can be avoided. This entry was posted in Real Estate and tagged contingency, home inspections, purchase agreements. Bookmark the permalink. Follow any comments here with the RSS feed for this post. Post a comment or leave a trackback: Trackback URL.